The main objective of this report is to is to highlight some important aspect of the investment management of IBBL, here main focus on different modes of investment and different investment schemes of IBBL. Other objectives are to know the investment procedure and the organizational structure for managing the investment functions of the bank. Finally highlight the main problems faced by the sample in investment management and put forward the suggestions for overcoming the problem. Bangladesh is such kind of country, which stays in developing process. Its per capita income is now $482 and the growth rate of national economy is now 5.5 which is contradictory with the specialist opinion. They suggest it must be lower than 5.5. The resultant effect of such lower rate of internal resource mobilization has been the rising trend of dependency on foreign aid for financing development works since independence. However any move to reduce dependency on foreign aid and poverty level is depend on potential productivity of the country. For effective mobilization of internal resources banking sector plays an important role by collecting country’s scattered saving and investing the same into various desirable sector of the national economy. Realizing the necessity of bank the government of Bangladesh established some nationalized commercial banks. At present the nationalized banks are Sonali Bank, Agrani Bank, Janata Bank, In order to overcome some of the major lapses of the nationalized commercial banking and to achieve the objectives of greater mobilization of internal resources and to provide better banking service, the government took decision in 1980 to allow private sector commercial banking to develop in the country side by side with the nationalized bank. At present in banking sector there are two types of banking principle are practiced in Bangladesh one of which is based on interest and the rest is based on profit. The later is called profit & loss sharing banking system or Islamic Banking system or shariah based banking system. In Bangladesh there are six commercial banks fully run on Islami shariah and five interests based traditional bank partly run with Islami banking branch and some other commercial banks trying to either Islamise or to open Islamic windows. Among the shariah-based banks IBBL is largest commercial bank, which was established on 30th march 1983. At present it has 186 branches all over the country through which it collects more deposit than other commercial banks. IBBL becomes very famous to the client for its different types of banking programs and for its social activities. The central business of traditional commercial bank is the making of loans to customers. Loan policy establishes the direction and use of the funds of a bank that have been derived from stockholders and depositors, controls the composition and size of the loan portfolio and influences the decision whether or not to lead. Earning assets portfolio of traditional banks includes loans (including advances and bills discounted) and investment. In interest free banking system this earning asset portfolio covers investment in securities. Therefore, the term “Investment policy” is more appropriate than loan policy in case of interest free banking system. The composition of investment will be discussed in the relevant section of the paper. Investment policy of a bank affects the management of the other elements of assets portfolio. The mainobjectives of the commercial bank portfolio management are to achieve the pattern of distribution of assets and liabilities necessary to satisfy the needs f liquidity, solvency, profitability, public interest and Government regulation. Bank management is in dilemma to achieve the above objectives concurrently. Because of the bank, which maintains high portion of liquid asses must forego profitable investment and vice-versa. On the other hand, solvency means bakers ability to pay long-term obligation. As such, the principles of asset management warrant and appropriate balance between liquidity, profitability and solvency. Moreover, commercial banks now a day, not only grant short term loan but also long term credit, for financing fixed facilities of the business enterprise. Management of loan portfolio (investment portfolio of the interest free banks) has been complicated because banks advance loan to agriculture and other non-traditional sectors. The operations of interest-free banking are subject to legal and investment constraints. The interest-free bank can not invest art of its statutory liquidity reserve in Government approved securities which are interest bearing as well as it can not invest its overnight surplus in inter bank money market. Moreover, all the banking laws of Bangladesh are interest oriented and they are designed towards fixed obligation rather than post determined profit on deposits, which are subject to loss. Similarly, banks investment, which are subject to profit and loss, are also not covered by these laws. With the above background in view it is imperative to study the investment practices of IBBL, in Bangladesh the emergence of which is of a recent phenomenon. Since in depth study on the investment management of the system had yet to e done, an attempt had been made here to critically examine the investment management of the sample. To know the different modes of investment and different investment schemes of IBBL. To study the investment practice of the sample under study. To examine the investment portfolio of the sample branch. To account for the investment income of the sample. To know the overdue investment of the sample. To know the investment procedure of the IBBL, with special reference to Head Branch under the study. To know the organizational structure for managing the investment functions of the bank. To know the investment policy and strategy of IBBL, which guides it investment functions? To highlight the main problems faced by the sample in investment management. To put forward the suggestions for overcoming the problem. i) Sources of primary data: The primary data had been collected through structured schedule highlighting the different aspects of investment of the sample. Official records and various statement of Head Office Branch from 2004 to 2006. Published literature related with the topic has consulted to build up the theoretical framework of the study. Relevant books on Islamic banking. After collecting the data and information the statistical methods are applied for the purpose of making the internship report informative and representative. These methods are simple average, bar diagram. Moreover there are some ratios are also used in this report for analyzing investment efficiency. In the time performing my internship program I have found various thing some of which related with the topic and the other related with the organizational aspects of IBBL, so finding may be classified in to two parts i.e. Finding related with organizational aspects. Finding related with the topic of the study. Definition of IBBL: Generally the bank which activities are operated by the rules of Islami Shariah is called Islami Bank. According to OIC general secretariat. The definition of Islami bank as Islami bank is a financial institution whose status, rules and procedures expressly states its commitment to the principle of Islamic Shariah and to the banning of the receipt ands payment of interest on any of its operation. All OIC countries including Bangladesh and Islamic Development Bank and other national and multinational Islami Bank have approved and accepted the above definition. Islamic Banking was a subject of theoretical and academic discussion until recent pest, to day Islamic banks around the world have come into practical existence and are playing an important role in solving economic and financial problem by mobilizing the saving and deploying them into productive investment witching development plans of the Islamic financial system. However the history of Islamic banking system is very recent. During fifty’s it was only a subject mater of research and was limited to the waiting of scholars and philosophers. At that time the first attempt of this regard was made in Pakistan but unfortunately it was note successful. It was then followed by Egypt by forming a local bank namely Myt. Gama saving bank in July 1963. Subsequently, Islamic Banking Movement gathers Momentum with the establishment of the social bank in 1972, Dubai Islamic bank in 1975, Islamic development bank, Jeddah in 1975. Faisal Islamic bank in Egypt and Sudan in 1977. 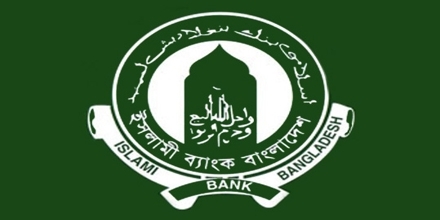 Emergence of Islamic development bank as an International financial Institution with a view to involving all the Islamic countries in the establishment of Islamic bank and financial institution was considered as a milestone in the history of Islamic In Bangladesh in an interest based banking system was introduced earlier when the country was a part of British colony. At that time ownership of and employment in banks where limited with rare exception to non-Muslim. During 1947 to 1991. Banking of course come under Muslim control but the system was not changed. Since its inception Bangladesh saw a new trend in banking both at home and abroad. During the seventy’s, Islamic development bank and a number of Islamic bank at national levels were established in Islamic world. At home, the Islamic group were vigorously working for adoption of Islam as the complete code of life. They found Islamic banking in ready form for immediate introduction. Two professional bodies-Islamic economic Research Bureau (IERB) and Bangladesh Islamic Bankers Association (BIBA) were taking practical steps for the introduction of Islamic Banking. Participated in the Islamic foreign ministers conference held in Dakar. Senegal and subscribed the recommendation of taking efforts to establish Islami bank. Participated and supported in establishment of separate banking system in Islamic countries in order to facilitate their trade and commerce at the 3rd Islamic Isummit conference held in Makkah & Taif (1981). In line with the above policy and due to continuous and dedicated working of the above mentioned professional groups and individuals. Bangladesh Government has permitted the establishment of three Islamic banks i.e. Islamic Bank Bangladesh limited (1983), Al-Baraka Bank Bangladesh limited (1987) and Al-Arafa Islamic Bank Bangladesh Limited. From these three banks IBBL was incorporated on 13.03.83 and received its banking license on 28.03.83. On 30th March 1983 IBBL began its function with the commitment of interest free and shariah based banking system. At present IBBL becomes very famous to the people of Bangladesh. Islami bank awaken Islamic spirit and promote is Islamic way of life as enjoyed by Quaran and Sunnah. To create investment facilities in agriculture industry, commerce, housing, foreign trade and others investment fields. To open term deposit saving six months, one years and three years. Policy means as statement, which guides organization day to day activities. Management would have to take decision within the boundary, which is set by the policy. In case of bank investment there is a policy or boundary exist within which the bank management takes decision regarding investment. IBBL also formulate a clearly defined and balanced investment policy. Strict observance of the Shariah Principles. Investment to national priority sector. Investment to Trade, Commerce, Industry, foreign Trade, IT, Small scale Industries, Transportation, and service sector. To do away with disparity and establish justice in trade, commerce and industry. To build socio-economic infrastructure, create opportunities for employment and income generation & poverty alleviation. Contribute to the socio-economic upliftment and sustained Economic growth of the country. Observance of legal invest limit per client –35% of the equity (15% Funded, 20% non-funded). Optimum utilization of Invest able fund. Safety and security of the investment. Bai Murabaha: Bai Murabaha may be define as a contract between a buyer and a seller under which the seller sells certain specific goods (permissible under Islamic shariah and the law of the land) to buy at a cost plus agreed profit payable in cash or on fixed future date in lump sum or by installment. The profit marked up may by fixed in lump sum or in percentage of the cost price of the goods. It is permissible for the Client to offer an order to purchase by the bank particular goods deciding its specification and committing himself to buy the same from the Bank on Murabaha i.e. cost plus agreed upon profit. It is permissible to make the promise binding upon the client to purchase from the Bank, which is he either satisfy the promise or to indemnify the damages caused by breaking the promise without excuse. It is permissible to take case/collateral security to guarantee the implementation of the promise or to indemnify the damages. Stock and availability of goods is a basic condition for signing a maharajah agreement. Therefore, the bank must purchase the goods as per specification of client to acquire ownership of the same before signing the Bai-murabaha agreement with the client. After purchase of goods the Bank must bear the risk of the goes until those are actually sold and delivered to the client, i.e. after purchase of the goods by the bank and before selling of those on Bai Murabaha to the client buyer, the bank shall bear the consequences of any damage or defect, unless there is an agreement with the client releasing the bank of the defect, that means, if the goods are damaged bank is liable, if goods are defective, the bank bear is the responsibility. The bank shall sell the goods at higher price (cost + profit) to earn profit. The cost of goods sold and profit market up there with shall separately and clearly be mention in the Bai Murabaha Agreement. The price one fixed as per agreement and deferred cannot be further increased. b) Bai Muajjal: Bai Muazzal may be defined as a contract between a buyer and a seller under which the seller sells specific goods permissible under Islamic shariah and the law of the country to the buyer at an agreed fixed price payable at a certain fixed period. Bank is not bound to declare cost of goods and profit mark-up separately to client. Spot delivery of the items and payment is deferred. Ownership and possession of the goods are transferred by the bank to the client before receipt of sale price. Client may offer an order to purchase by the bank any specified goods as committing himself to buy the same from the bank on Bai Muazzal mode. It is permissible to make the promise binding upon the client to purchase from the bank. That is, he is to either satisfy the promise to identify the damage caused by breaking the promise. Cash collateral security should be obtained to guarantee the implementation of the promise or to identify the damager. Mortgage/Guarantee/cash security may be obtained before/at the time of the signing the agreement. Stock and availability of goods is pre-condition for Bai Muazzal agreement. The bank after purchase of goods must bear the risk of goods until those are actually delivered to the client. The bank must deliver the specified goods to the client on specified date and at specified place of delivery as per contact. The bank may sell the goods at one agreed price, which will include both the cost price and the profit. c) Bai Salam: Bai Salam may be defined as a contract between a buyer and a seller under which the seller in advance in the certain commodity (ties)/product (s) permissible under Islamic shariah and the law of the land to the buyer at an agreed price payable on execution to the said contract and the commodity to the buyer at a future time in exchange of an advanced price fully paid on the spot. Bai Salam is a mode of investment allowed by Islami Shariah in which commodity/products can sold without having the said commodity/products either in existence or physical/ constructive possession to the seller. Generally, Industrial and Agricultural products are purchased/sold in advance under Bai Salam mode of investment to infuse finance so that product is no hindered due to shortage of fund/cash. It is permissible to obtain collateral security. From seller client to secure the investment from any hazard is viz. non-supply/partial supply of commodity, supply of low quality commodity/products etc. It is also permissible to obtain Mortgage and personnel guarantee form a third party as security before the signing of the agreement. b) Istishna’a: Istishna’s is a contract between a manufacturer and a buyer under which the manufacturer/seller sells specific product after having manufacturer, permissible under Islamic shariah and law of the country after having manufactured at an agreed price payable in advance or by installment within a fixed period or on/within a fixed future date on the basis of the order placed buy the buyer. Istishna’a is an exceptional mode of investment allowed by Islamic shariah in which products can be sold without having the same in existence. if the product(s) are ready for sale Istishna’n is not allowed in shariah. Then the sale may be done either inn Bai Murabaha or Bai Muazzal mode of investment. In this mode, deliveries of goods are deferred and payment of price may also be deferred. It facilitates the manufacturer sometimes to get the price of the goods in advance, which he may use as capital for producing the goods. It gives the buyer opportunity to pay the price in some dated or by installments. It is a binding contract and no party is allowed to cancel the Istishna’a contract after the price is paid and received in full or in part or the manufacturers tarts the work. Istishna’a is specially practiced in manufacturing and Industrial sector. However, it can be practiced in agricultural and construction sectors also. a) Hire purchase/Ijara: The term Ijara has been derived from the Arabic word Ajr and Ujrat, which means construction, return, wages or rent. This is really the exchange value or consideration return wages, rent of service of an Asset. Ijara has been defined as a contract between two parties, the hiree and hirer. Where the Hirer enjoys or reaps a specific service or benefit against a specified consideration or rent form the asset owned by the Hiree. It is a hire agreement under which, a certain asset is hired out by the Hiree to a Hirer against fixed rent or a specified period. b) Hire Purchase Under Shirkatul Melk: Hire purchase under shirkatul melk is a special type of contract which has been developed through practice. Actually, it is a synthesize of three contracts: Shirkat, lzara and sale. Shirkat. Means parternership. Shirkatul Melk means hare an ownership: when two or more persons supply equity, purchase an asset, own the same jointly and share the benefit as per agreement and bear the loss in proportion to their respective equity, the contract is called shirkatul Melk. In case of hire purchase under shirkatul melk transaction the asset/or property involved is jointly purchase by the hiree (Bank) and the Hirer (Client) with specified equity participation under a shirkatul melk contract in which the amount of equity and hare in ownership of the asset of each partner (Hiree bank & Hirer client) are clearly mentioned. Under this agreement, the Hiree and the Hirer becomes crowner of the asset transaction in proportion to their respective equity participation. In HPSM agreement the exact ownership of both the hire (Bank) and Hirer (Client) must recognized. However, if the partners agree and wish that the asset purchased may be registered in the name of the any one of them or in the name of any third party. Clearly mentioning the same in the HPSM agreement. However, in IBBL, no third party registration shall be allowed. The share/parts of the purchased asset owned by the hiree (bank) is put at the disposal/possession of the hirer (client) keeping the ownership with him (bank) for a fixed period under a hire agreement in which the amount of rent per unit of time and the benefit for which rent to be paid along with all other agreed upon stipulation are also to be clearly stated. As the ownership of hired portion of the asset lies with the hiree (bank) and rent is paid by the Hirer (client) against the specific benefit, the rent is not considered as price or part of price of the asset. a) Mudaraba: Mudaraba may be defined as a contract between two parties under which one party (Bank) supply capital and another party (Client) invest his efficiency, labor and necessary business activities. In such a business bank is called Shahib-al-Mall and the client is called mudarib. Administration and management is maintained by the clients. Profit is divided as per agreement. Client cannot take another investment for that specific business without the permission of the Bank. b) Musharakah: The term “Shirkat” and “Musharakah” have been derived from Arabic words “Shirkah” and “Sharika”. The word Shirkah means a partnership between more than one partner. Thus the word “ Musharakah” and “Shirkat” mean a partnership established between two or more partners for purpose of a commercial venture participated both in capital and management. Where the profit may be shared between the partners as per agreed upon ratio and the loss. If any incurred, is to be borne by the partners as per capital/equity ratio. Bank may move itself with the selected Client for conducting any shariah permissible business under Musharakah Mode. Bank and client both supply capital unequally/equally. Profit is divided as per agreement and actual loss is divided as per equity. Client will maintain all accounts properly bank or its agent may verify or audit it. Bank cans advice the client in such an business in respect of the business. Shirkat al Meelk: It is created by means of inheritance or will or other circumstances resulting ownership of two or more person in a particular asset. Property in common. The owners or partners share the asset/property and the returns arising there from as per their ownership ratio. Quard means loan without interest and hasan means beautiful. Quard-e-Hasana implies beautiful loan on good faith on beneficial loan. IBBL does lo recover any chargek, even service, from quard-e-Hasan account. Loanee has to repay the principal amount. This loan facility is extended only to deserving cases on compassionate grounds and special welfare consideration. the principal amount is refundable within a reasonable time. In IBBL an investment is created against pledge of Mudaraba Term Deposit Receipt (NTDR). Generally, 80% of the MTDR is allowed to the holder for halal activities without any profit. Only Tk. 200-is realized as service charge perdeal. It is called Quard against Term Deposit Receipt (QTDR). While allowing Quard against TDRs the following points be kept in mind. A written application is to be obtained from the holder to TDR requesting the Bank to allow him Quard against TDR. If acceptable, a sanction letter to be issued mentioning the term is of sanction. The limit will be maximum one year. TDR will not be eligible for Quard till it is aged minimum one month. Quard amount should be maintained in Investment Ledge B-72 with all the necessary particulars. Profit is to e charged/ allowed neither on the Quard amount not on the relative TDR. A service charge of Tk. 200 per year may be realized for each ratio. A margin on TDR as per practice/instruction of HO/Bangladesh Bank may be kept on TDR. A proper lien should be marked on TDR ledge to safeguard any fraudulent encashment of the TDR. Concern TDR duly discharged on revenue stamp will have to be taken as security. Letter of lien & letter of authority to appropriate the proceeds of the TDR on stamped from be taken duly signed by its holder. P. Note and D.P. Note delivery letter should be taken duly signed from the client and preserved duly signed in the Document Execution Register. Besides the above there are some other modes which have not be practiced in IBBL as yells. Theseare Hawala, Wakalah, Jo’alah, Muzara’a, Musa’qaat, Musawama, Muzaidah, Istijrar etc. IBBL, since its inception, has been working for the upliftment and emancipation of the underprivileged, expressed, downstream and neglected sections of the populace and has taken up various schemes for their well being. The objectives of these schemes are to raise the standard of living of low-income group, development of human resources and creation of avenues for self-employment. The Household Durable Schemes has been introduced in 1993. The objective of the scheme is to increase standard of living and quality of the fixed income group by extending them investment facilities t purchase household article s such as furniture like almirah, sofa set, wardrobe; electric and electronic equipment like television, refrigerator, gas cooker; air conditioner, PC, washing machine; electric generator-IPS, UPS; motor cycle; corrugated iron sheet, cement, rod, wood etc. for construction of dwelling hues; gold ornament, tub-well, mobile telephone set etc; medical/engineering instrument/ equipment, educational instrument/equipment, computer, books etc, for students. At present 108 branches out of 186 Branches of the Bank handling the scheme, having total number of existing client of 34711 and total outstanding liability of Tk. 699.95 million. Percentage of recovery is 81 (as on 28-02-2006). The Bank has introduced this scheme to ease the serious housing problem in the urban areas and to make arrangement for comfortable accommodation of the fixed income group. Primarily the scheme is extended to 6 divisional citied, which is being extended gradually to other grater district towns. In case of house building on own land the ratio of equity is at best 60:40 having maximum limit of Tk. 3.00 million under the mode of Hire purchase under shirkatul Meelk (HPSM). At present 33 Branches out of 186 Branches of the bank handling the scheme, having total number of existing client of 577 and total outstanding liability of 669.80 million. Percentage of recovery is 96 (as on 28-02-2006). The bank, to ease the existing transportation problem and ensure speedy economic growth and development of the country particularly, the expansion of trade, commerce and industry, the bank up thirds scheme, Under this scheme investment is being allowed to the existing successful businessmen and potential entrepreneurs in this sector for all type of road water transport like bus, minibus, truck, lunch, cargo-vessel, transport for rent –a-car service; and bady taxi, tempo, pick-up van for self-employment; and ambulance for clinic & hospital. The bank is also extending investment facilities to multinational companies, established business housed and well to do officials and professionals for acquisition of cars, microbus and jeeps. At present 118 Branches out of 186 Branches of the Bank handling the scheme. Total number of existing client is 2487 and total outstanding amount is Tk. 2507.59 million. Percentage of recovery is 19 (as on 28-02-2006). To meet the demand of senior officials of deferent organizations, established business houses and companies and persons of various professional groups who essentially need car but not afford to purchase on payment at a time. Bank’s investment is maximum Tk. 3.5 lac per clients against purchase cost of the vehicle. Registration and comprehensive insurance cover shall be in the name of the bank. The client s shal have o bear all subsequent expenses relating to blue book, registration, first party insurance, tax token fitness certificate etc, At present 46 Branches out of 186 Branches of the Bank handling the scheme. Total number of existing client is 138 and total outstanding amount is Tk. 23.54 million. Percentage of recovery is 95 (as on 28-02-2006). This Scheme has been taken up for self-employment of educated unemployed youth of rural and urban areas and to provide investment to small businessmen and entrepreneurs. Investment is extended for about 200 economic activities in sectors as live-stock, fishery, agro-farming, processing and business, manufacturing, trading/shop-keeping, transportation. Agricultural implements, forestry and service viz. laundry, signboard painting etc. At present 136 Branches out of 186 Branches of the bank handling the scheme. Total number of existing client is 15189 and total outstanding amount is 768.45 million. Percentage of recovery is 93 (as on 28-02-2006). In keeping with the view of the people-oriented and welfare objectives of the bank, this scheme has been introduced to provide power tillers. Power pump, shallow tube wells, thresher machines etc. on easy term to unemployed rural youths for self-employment and to the farmers to help argument production in agricultural sector. At present 42 Branches out of 186 Branches of the bank handling the scheme. Total number of existing client is 488 and total outstanding amount is Tk. 11.94 million. Percentage of recovery o is 73 (as on 28-02-2005). Micro Industries Investment Scheme has been introduced with a view to create wider base for industries s well as to encourage establishment of micro industries in efferent areas of the country by the potential entrepreneur and for diversification of the bank’s investment portfolio. Deferent sectors including food and agriculture based industries, plastic & rubber industries, forestry and furniture industries, engineering industries, leather industries, chemical industries, textile industries, recycling industries, service industries, electric accessories and handicrafts industries. At present 25 Branches out of 186 Branches of the bank handling the scheme total number of existing client is 73 and total outstanding amount is Tk. 6.24 million. Percentage of recovery is 75 (as on 28-02-2006). Bangladesh is predominantly an agricultural country with vast majority living in rural areas. More than 60% of the people live below the poverty line. Seasonal unemployment and under-employment is so acute that many people remain idle and without job in most of the time of the year. As a result people in large number are migrating to urban areas, particularly in metropolis in search of employment thereby creating social and environmental hazards. Islami Bank has therefore, taken up a scheme to reactive the rural economy and develops model villages through integrated rural development approach. The objective of the scheme is to create income generating and productive self-employment opportunities through extension of investment for the development of rural areas and thereby contribute in alleviating rural poverty. Investment will be allowed for the purpose of, amongst others, production of 21 types of main crops. Off firm activities like dairy, beef fattening, goat rearing, poultry, shop keeping, peddling etc. rural transport like rickshaw-van, cart etc; irrigation equipment, hand tube well, housing materials, in all covering about 343 types of economic activities. Islami Bank foundation a subsidiary of the Bank, engaged in social welfare activities shall, side by side, take care of the requirement of sanitation, Medicare and education of the villages through integrated area development approach under Islamic model. At present 99 Branches out of 186 Branches are of the Bank handling the scheme. Total number of client if 135,940 and total outstanding amount is Tk. 2242.22 million. Percentage of recovery is 99. Since introduction of the scheme 419.204 A/Cs have adjusted (as on 28-02-2006). In the meantime 4,500 villages of 150 Thana’s have been covered and the Bank has taken a target to cover 68000 villages by 2020. Support Project of RDS by Islami Bank Foundation. health and Medicare serviceinits regular programs. As a non-profit and welfare oriented organization, it is relatively easier for the foundation to operate in the education, health and Medicare sectors and has therefore, taken up support of the rural development/scheme (RDS) of IBBL. The scheme has been taken up to assist the silk weavers of Mirpur areas particularly in respect of requirement of working capital. BMRE of existing unit by adding further machineries, to develop new entrepreneurs and to assist the workers for getting further training for producing products of various modern designs and for modernization of the silk sector. Islami Bank Bangladesh Limited is the largest bank in shariah based banking in the developing countries like Bangladesh. As such they are vulnerable to the high risks attached to investment in these countries, which vary form natural hazards to institutional ineptitude. Inadequate accommodation and frequent and drastic changes in economic policies are but a few of the institutional difficulties with which Islamic financial institution have to cope this situation is bound to restrict their role in medium and long term financing. In this situation it is necessary for IBBL, to follow investment portfolio subject to minimize their investment risk. Generally, portfolio means not to invest all invest able fund in a specific investment sector. When all invest able find is invest in a specific sector then there is a risk of losing all invest able fund in case of that particular investment sector. So to minimize such risk a prudent investment management deploys its invest able fund in to all portfolio investment sources. In this way profit will be maximized. This portfolio policy of investment is practiced by Main Branch to minimize its investment risk in Main Branch, the portfolio investment are Bai-Murabaha (General), Bai-Murabaha (post import), Bai-Muazzal, Bai-salam, Hire purchase Shirkatul Melk (HPSM) and Quard Against TDR. From the above graph of portfolio for 2006 it is shown a bulk amount of deposit of concern branch is invested in Bai-Murabaha (Post import) and the second large and 3rd large amount of deposit invested in Bai-Murabaha (general) and Hire Purchase Shirkatul Melk (HPSM) respectively. The rest amount of deposit invested into other investment sources. From the chart of portfolio investment of last 3 years it is also shown that Murabaha (post import) is always given first priority to invest. Than the second and third priority is given on Murabaha (general) and HPSM respectively. Income from investment is the vital important for IBBL as the greatest share of the total revenue is generated from it. Moreover sufficient income from investment is the sign of proper deposit management because bank has to pay profit to the depositors from its income. If any bank will unable to pay profit to its depositors indicates either the bank cannot use its deposit properly or the bank des not find suitable investment sources to invest its invest able fund. For this reason, income from investment is the indicator of proper investment management. So the income for investment of Head Office branch is shown below in year-wise and source-wise. From the above graph and chart it is found that Head Office Branch earned highest income from investment in year 2004 as compare to other two years. It is also found that total income is gradually increasing year to year. Which indicates Agrabad Branch shows efficiency in investment and recovery of investment. It also indicates that it has no idle reserve with central bank. From the above graph it is seen in year 2004 overdue investment was very large in amount. After this year amount of overdue investment were gradually decreased. Reason of this improvement in overdue may be the political change in the country and the efficient and effectiveness of bank management. As a result the growth of the bank increased and this is why bank is gradually getting back investment timely. In year 2006 overdue investment slightly increased which indicated inefficiency of investment management of the sample. IBBL, Head office Branch located in which is very busy and well know commercial area. All the commercial banks either public or private have a branch in this area. So, it has to compete with other banks. All the neighbor branches of other banks have on line banking and that is why they can serve very swiftly and quickly. But the sample branch can’t serve so swiftly and quickly due to its absence of on line banking. Most of the top class depositors and clients maintain accounts with several banks as well as with the sample. They don’t get quick and swift service the branch as compare to other banks having on line banking. Most of the midle and lower class depositors and clients are very satisfy with the sample branch’s service system. Because, they can maintain an account with the sample branch depositing a small amount of money which is mostly impossible with neighbors branches. The numbers of personnel of the sample branch is very few to satisfy the huge numbers of clients and depositors. A special service counter with an official having depth knowledge on investment modes for providing suggestions and advice to the clients about the investment modes and others Islamic Shariah based principle related with IBBL. About all the officials are very friendly, cooperative and helpful sign of the sample. A special cooperation and supervision is given to internees by all officials (specially by Manager, investment in charge, foreign exchange in charge and GB in charge). The problem which are faced by the bank in case of sanctioning investment proposal are as follows. Most of the people, even educated people of or country have no idea about the shariah based banking system, They don’t know what is the deference between profit and interest. Sometimes they think that profit and interest are the same things. For this reason, such people don’t understand the religious theme of the shariah based banking system, which is the main power of the Islami banks. This is why IBBL has been facing the problem of investing collected deposit and making its various investment schemes familiar to the people etc. Incase of investment of the sample some businessmen try to diversify the fund fro the approved project to another. In this situation there is a risk of losing fund for the sample because in this way they (businessmen) they try to make the project sick artificially. So, this problem hampers the function of investment section. Due to this reason IBBL and the sample cannot invest their idle fund in money at short notice, etc. Because, at resent the operations of this market are based on interest. The sample of this study mainly practices Bai-Murabaha and Bai-Muajal Modes. Under these modes of investment same businessmen belonging the sample try t perform business function over their capacity. For this reason they are failed sometimes and bank has to lose its fund, which is invested there. Due to this reason the sample has to sell the product under Bai-Mudaraba and Bai-Muajjal agreement at lower margin to its party. At that margin bank cannot meet its investment expenses often. So, this kind of problem decreases the income of the sample. Branch is situated in an area, which is mostly popular and busy commercial area and also a bank zone. So the sample should face competitive trading environment. The decoration and servicing system Agrabad branch is not so attractive and modern as compare to other bank nearby. So the customer of high level does not want to go there. Islamic Banking is a new phenomenon in our country during last two decades. So majority of our people have no proper knowledge about the activities of Islamic Banking as well as its investment mechanism hamper large scope of investment of IBBL. Most of the people in our country have a bad impression of IBBL’s operations regarding indirect generation of interest which meaning no difference between investment of IBBL loan/credit/advance of conventional bank for this reason they are not too much interested to make investment with IBBL. Because of improper insufficient application of Islamic Banking rule in our country, the investment operations of IBBL can’t run smoothly. IBBL that is committed to avoid interest. So, it can’t invest the permissible part of its statutory liquidity Reserve and short term liquidity surplus in those securities. This Bank can’t invest in all economic sectors, which are prohibited by the law of Islam. Profitable investment portfolio of IBBL requires forsightment and clear investment knowledge according to Islamic Shariah. But some times IBBL can’t invest its assets in proper portfolio due to insufficient and unskilled manpower in this regard. As a result, there is a large amount of being idle and thus potential profit is not increasing. This bank revalues its investment operations within limited number of investment modes and does not initiate investment modes according to changing diverse needs of people. Sometimes investment operations of IBBL are hampered due to increase, dishonest, indirect, hypocritical nature of people. IBBL has no strong potential activities to increase motivation its present potential investment client. There are limited scopes to deal women entrepreneurs and professionals for making investment by women interpreters. In rural areas for low income community, this bank grants investment in group not individual. As a result, the mission, using invested money in income generating activities. So the poor needy population can become self reliant-is failed. Moreover, it enhances group dependence. In some sectors like housing, real estate, project (industries) etc, this bank disburses total invested money in times according to banks pre-determined proportion. As a result, clients are failed to gain full benefits of investment disbursement at once. IBBL can diffuse its scope of investment through focusing shariah concept regarding investment among the bank officers; employer and the clients by strong training, workshops and clients get-together. This bank should arrange a wide varieties of regular programs like “ISLAMIC JALSA”, “SEMINAR”, “MOSQUES-BASED DISCUSSION” etc. about Islami banking function countrywide to remove the impression about IBBL. The authority of IBBL should conveyance pressure on Government bodies to run proper and sufficient application of Islami banking law in Bangladesh. Practice amount of doubtful income declined constantly during the year as compared to the pasty few years, indicating more carefulness of the management in complying with shariah. As a result, idle money will be invested to increases potential profit of this bank. IBBL should include more subjects based on the Quaran and Sunnah in the training coerces of the Islami bank Training & Research Academy in order to develop human resources having morally. The bank should arrange monthly/quarterly training courses/ workshops for the clients selected by Branches in order to promoted investment clients of the desired level. IBBL should initiate different investment modes according to changing/ diverse needs of clients by conducting huge research and study. IBBL should utilize “Internship Program” as one kind of promotion policy to encourage it’s the vital post of our economy. To do so this Bank should provides facilities to the internees through proper placement and practical operations as well as job certainty to those bring introduce themselves the best performers in doing their particulars. IBBL should appoint a sufficient number of women of women employees to deal women entrepreneur and professionals and understand. There needs and thus create demand for investment. To fulfill the vision of “mass banking”, this bank should grant investment portfolio to new entrepreneurs/new businessmen/new companies etc. To gain success in the programs like “poverty Alleviation” and “self reliant” specially in rural areas, this bank should provided investment facilities on the basis of individual. Islami Bank Bangladesh Limited (IBBL) is a shariah- based bank. Allah has permitted trade and forbidden usury. IBBL committed to its shareholders and depositors to provide them hundred percents halal income as per principle of Islami Shariah. This is the main philosophy of Islami Bank in conducting its economy and operational activities. This study is an attempt to analyze the investment nature of IBBL to determine the financial strengths and weakness as well as role of bank in the economy of the country. The special features of the investment policy of the bank is to invest on the basis of profit and loss sharing system in accordance with the treats and principles of Islami shariah. In this study we had found that Agrabad Branch conducts all its banking and investment activities banning of receipt and payment of interest conforming the principles of Islami Shariah. Form year wise investment, modes wise investment, year wise income and year wise overdue investment of the sample, it is clear that the income position and investment position is satisfactory and gradually improving. The recovery and liquidity position of the sample is satisfactory enough to meet its deposit and current obligations. In our country the main problem of investment is the evaluation and selection of the project. We see that IBBL also face problems in selecting clients. Because, most of the clients are reluctant to repay the loan. Since, our country is not governed as per law of Islami Shariah. The bank has to face some legal and constitutional problem. In spite of the above problems Islami Bank has emerged as an exceptional bank for its unconventional pattern of working, achieving success in all aspect, undertaking specialized schemes. The profit motivation and the frisk avoidance mechanism of IBBL is mostly motivating depositors to kept their deposit in Islami Bank. Islami Bank has been gaining popularity in Bangladesh. The growth rate in business as well as socio-economic contribution of IBBL is faster and highest that of other banks of similar size. The IBBL would be a vigorous help for our under development and laggard country. Finally, I hope prosperity and successive growth of IBBL.